New documents obtained by KQED reveal that half of San Francisco schools have lead in their water, though levels vary widely from school to school. Information obtained as a result of a request under the California Public Records Act shows water from one tap measured more than 370 times the allowable concentration of lead. The science classroom faucet at San Francisco International High School registered lead at 5,600 parts per billion. The Environmental Protection Agency sets the allowable limit at just 15 ppb. The tap is one of about a dozen extremely high levels recorded at the campus, which is shared with elementary school kids from the New School. Even so, the city's Childhood Lead Prevention Program coordinator, Haroon Ahmad, says it's too soon to panic. "We still believe that the water is pretty good," Ahmad says. "It's probably the fixture that's the problem, and at this point the fixture has been taken out of service." Ahmad sees statistics on every child with high lead levels in their blood, and he says he hasn't seen an increase or clusters of high concentrations at city schools. "We have not seen a spike of cases coming our way since the school investigation has started," Ahmad says. San Francisco volunteered to begin testing its schools for lead -- 5 taps per school -- earlier this year. A new state law will require all districts to do the same by the end of 2018. In October, three school sites -- West Portal and Malcolm X elementary schools, and San Francisco International High School -- came back with samples that were too high. Repeat testing at those schools was conducted by the San Francisco Public Utilities Commission earlier this month. The lack of an observed increase in reported lead poisoning could support the district's belief that many faucets were rarely used -- like that science lab faucet, which officials say wasn't used for drinking. But it could also mean that parents haven't tested their kids. "What we see more typically is that kids may have no symptoms at all with lower levels," says Dr. Alison Matsunaga, a hematologist at UCSF Benioff Children's Hospital Oakland. "But we know chronically over time, when kids have lead levels that are elevated, it can affect IQ, cognitive issues, neurodevelopmental issues as well, too." Matsunaga says many experts, including the American Academy of Pediatrics, maintain that any lead is too much. 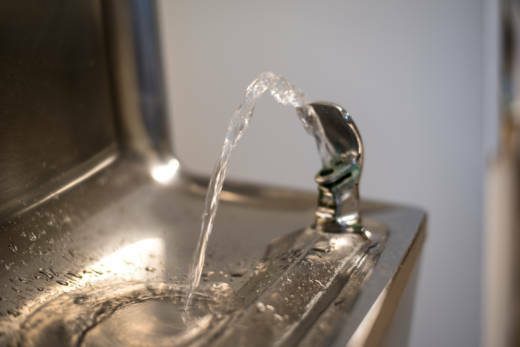 That's important, because 34 of the 74 San Francisco schools tested so far came back with detectable levels of lead under the EPA limit, including taps in cafeterias and water refill stations. "There's no safe level of lead in drinking water for children," says the California Public Interest Research Group's Jason Pfeifle. Pfeifle has been actively pushing for a zero-lead policy in neighboring Oakland, which has found the toxic metal in nearly as many of its schools so far. He wants to see the same policy in San Francisco schools. "The district should be fixing any water taps where any lead was found," Pfeifle says. "Anything above 1 part per billion." According to Nik Kaestner, sustainability director for the San Francisco Unified School District, any lead is a concern and fixing all tainted taps is being considered, as well as the possibility of testing every water spigot at every school -- but neither is on top of the district's "priority matrix." He says the district immediately put faucets that were over the limit out of service. For now, individual schools have discretion when it comes to lower levels. "I think the logical course of action is to deal with your highest levels first, and then to work your way down to those that are not an immediate threat perhaps, but in the long run shouldn't be in our schools," Kaestner says. He says 56 schools remain to be tested by the end of the year. Check the list of schools tested so far below.